Hours Invoiced: These are the actual hours paid by the customer. Hours Purchased: Hours the technician is actually at the shop, including working on vehicles, taking lunch, cleaning their workstations, helping others, training, moving vehicles, and other tasks throughout the day. Hours Available: Hours the technician will be available to work on a vehicle. This is calculated by subtracting all non-repair work hours from hours purchased. Hours Worked: The hours the technician actually works on the vehicle. 1. How many available hours are being worked in the repair order? 2. How many available hours are being invoiced to customers? 3. How efficient is each technician? If this value is less than 1, your shop is losing money because the actual time it takes to repair a vehicle is not being invoiced properly on a regular basis. Measuring the performance of your technicians, as a whole and individually, shouldn’t feel like punishment or micro-managing. Be clear in your objectives and communicate the importance of tracking and using data to improve profits, performance, and efficiency for everyone involved. Wondering how the best auto repair shops stay ahead of the pack? 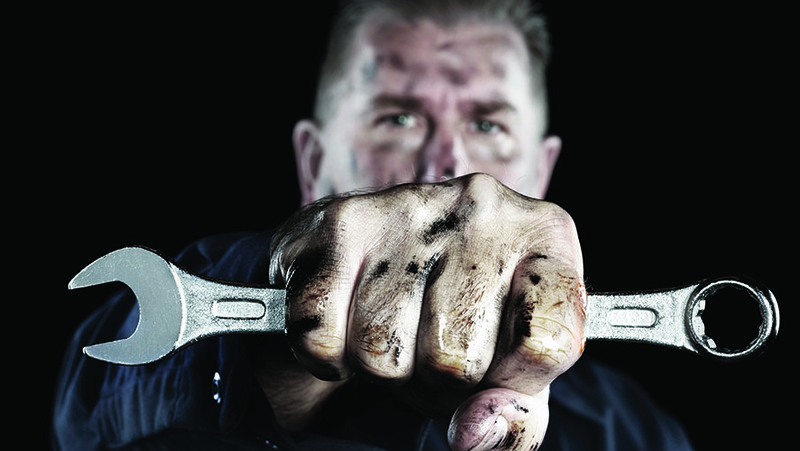 Download our eBook: 10 Traits of Successful Automotive Repair Shops.